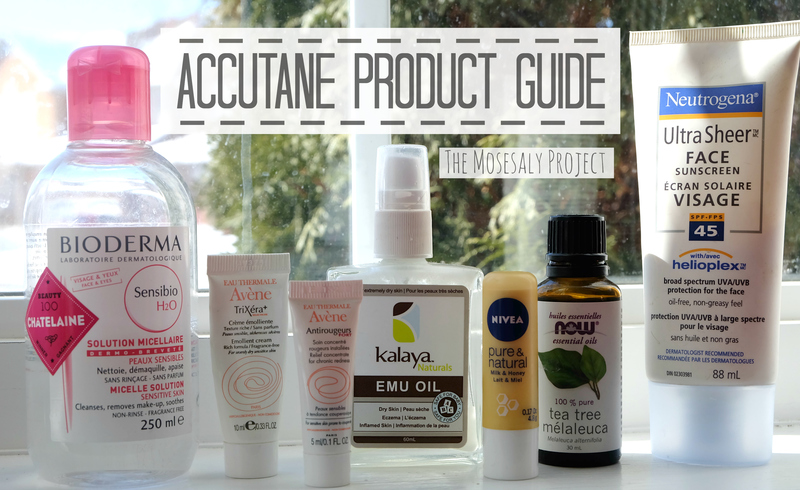 Throughout my Accutane journey I tried many, many products. And while I liked most of them these are my stripped down essentials. Micellar Water – Some days you’ll find your cleansers to be too drying or stripping, apply this to a cotton pad to cleanse your face gently. Avene Trixera – This thick cream isn’t irritating although it has a lovely fragrance. I used it at night and found my skin was extra-hydrated in the mornings. Avène Antirougeurs – Marketed towards eczema sufferers, this cream got rid of redness I didn’t know I had. If you’re starting Accutane with active cystic spots I highly recommend this one, it will definitely make you feel more comfortable in your skin. Emu Oil – Great for masking dryness during the day and perfect for layering under a moisturizer/serum at night. Nivea Honey & Milk Lip Balm – Along with shea butter balms this is the most nourishing lip balm I’ve found. And for under $3 it beats the very popular Jack Black and Aquaphor for me. Tea Tree Oil – Dilute this and apply it with a Q-Tip to flare-ups, it may cause dryness but you’ll see the inflammation diminish overnight. Neutrogena Ultra Sheer Sunscreen – If you’re on Accutane you need to use sunscreen daily or you’ll see your skin’s dryness exacerbated by the next day. This is a good cheap option, it’s not too greasy and it dries matte. La Roche Posay’s Anthelios Ultra Fluid Lotion is a nice option if you have more flexibility in your budget. Hope this helped you narrow down your shopping list somewhat! Posted in Skincare Addiction and tagged accutane, acne, indianbeautyblogger, skincare, skincareaddiction. Bookmark the permalink.